At the same time, however, green businesses are becoming more of a mainstream concept that is desired by both businesses and consumers. As a result, greening businesses will become easier in some ways. Alice Henley of the NRDC explained how greening sports events is an important way to spread sustainability because it infiltrates sustainable ideas into mainstream American culture. Although there will be challenges to make businesses more environmentally and economically sustainable, I believe that it will continue to be done in many sectors, especially as consumers demand it more. Have you heard of particularly interesting ways that businesses have become more sustainable? What are the biggest challenges for businesses? Post your comments below! 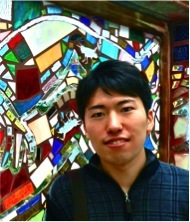 Kimihiko Takamatsu is a graduate student at the University of Pennsylvania in a Master of Environmental Studies (MES) program, with a concentration in Environmental Policy. He hails from Japan, and earned a Bachelor of Laws from Keio University in Tokyo in 2011. Prior to his graduate studies at Penn, Kimihiko worked as a secretary at the Tokyo Office of Skadden, Arps, Slate, Meagher & Flom LLP, which is one of the largest law firms in the U.S. Kimihiko is currently working as a research assistant at the US-Japan Institute, which is a non-profit research organization, based in Philadelphia, PA. The 5th Annual Conference of the Initiative for Global Environmental Leadership (IGEL), held on April 26, 2012 at the Wharton School, focused on sustainability and supply chain management with presentations and panel discussions attended by business leaders from a range of industries dedicated to sustainability issues. This year’s conference welcomed Mr. Edwin Keh as a keynote speaker, who presented lessons from his experience as Chief Operating Officer and Senior Vice President at Wal-Mart. Prior to Wal-Mart, Mr. Keh worked for various consulting and retail companies with a brief stin t as an editor at the United Nations High Commissioner for Refugees before his graduate studies. A vibrant speaker, Mr. Keh talked about sustainability from the perspective of how to distribute products through the global supply chain while maintaining product quality and minimizing defects and delays. Before discussing the main story, Mr. Keh started out by explaining his decision to step out of his nonprofit positions into major corporations. According to him, the biggest reason behind his major career change was the limited scope he felt of what nonprofits could engage in and the greater possibilities of leveraging the corporations’ large-scale networks in order to have greater impact on society. He believes corporations’ products could be supplied by 100% use of renewable energy. With regards to the key agendas to sustainability in supply chain operations, Mr. Keh called the audience attention to four areas of improvement: (1) product quality; (2) waste & packaging; (3) legal compliance; and (4) energy reduction. For example, he mentioned as electronic devices get more and more advanced, chances are higher that a product won’t reach a customer without one of its components being damaged during its shipment. “Out of good intentions, bad products can be shipped,” explains Mr. Keh. Since such a situation happens as frequently as one can imagine in the global supply chain, he emphasizes the importance of coordinated communication between suppliers. During his speech, he repeated the phrase, “miscommunication creates a chain reaction of supply paralysis” several times. Another issue that arises in large-scale supply chain operations is heaps of waste and packaging. As the world’s largest retailer, Wal-Mart particularly recognizes this problem. In fact, Wal-Mart aims to eliminate all waste by reducing, reusing or recycling by the year 2025. The retail giant has also been working with its suppliers to devise sustainable packaging solutions in the meantime, according to Mr. Keh. The aforementioned attempt especially leads to the fourth agenda that Mr. Keh brought up to make the supply chain more sustainable. By reducing waste and packaging, the cost of disposing of them naturally decreases, so does energy use. As part of the initiative to get consumers to buy greener products, Wal-Mart launched a large national advertisement campaign advocating environmentally friendly products in 2007. Also, in its 2011 Global Responsibility Report, Wal-Mart showcased its ambitious goal to replace the types of energy currently used for shipping products with renewable ones. Mr. Keh reiterated the perpetual difficulties involved in supplying products to inland cities of developing countries, since infrastructure are usually not fully developed in those areas, and so it costs a lot of time and energy to carry products there. In addition to the hindrance to transportation, developing countries tend to have legal systems that are fundamentally different from those of developed countries, or the U.S. in the case of Wall-Mart. Therefore, legal compliance is an inevitable issue when managing supply chain on a global scale, warns Mr. Keh. On a personal note, however, Mr. Keh’s presentation particularly reminded me of an economic model called the “Environmental Kuznets Curve (EKC),” which I had came across doing research for one of my classes at Penn. Proposed by Simon Kuznets, a Russian economist who won the Nobel Prize in Economic Science and taught at the Wharton School before he passed away in 1985, the EKC hypothesizes that as the income level rises so does inequality in society, but beyond a certain point inequality actually decreases with greater income because people start to recognize the importance of social justice and invest their capital in improving inequality. Put inequality on the vertical axis and the income level on the horizontal axis, and the graph follows an inverted U-shaped curve, according to the theory. After having been known for its rather ubiquitous big-box chain stores and huge revenues, which might as well match the quintessential image of the American culture, Wal-Mart finally came to recognize the importance of environmental conservation and sustainability. Later it started to invest in making its supply chain as sustainable as possible. Funny as it may sound, now it tries to improve its image and strongly urge consumers to choose what they consider good for our well-being and avoid what they consider detrimental to the environment. That said, after all, consumers choosing products with less environmental impact would actually create more significant and immediate effect in contributing to environmental well-being as well as corporate sustainability than companies racking their brains to come up with better solutions to the same cause. Therefore, the bottom line should be as follows: We want to live better, companies want to save energy and reduce waste: it’s in our mutual benefits.